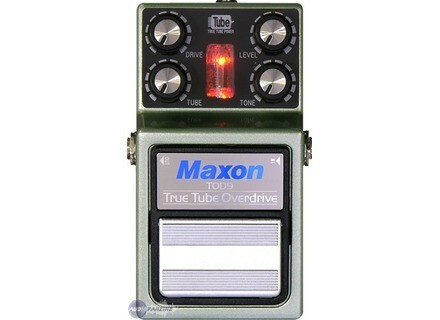 TOD9 True Tube Overdrive, Overdrive pedal from Maxon in the 9 (Reissue) series. 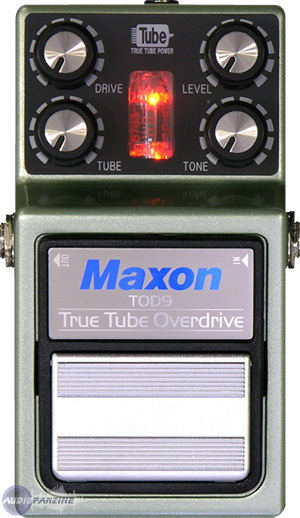 Maxon has announced two new models of tube-based overdrive pedals, the TOD9 True Tube Overdrive and TBO9 True Tube Booster/Overdrive. Described by Maxon as "the world's smallest tube-based" stompboxes, these new models are indeed shaped to the size of the brand's Nine Series. In addition to the traditional Drive, Tone and Volume knobs, a Tube control allows to choose how important the (LED-lit) tube will be in shaping the final sound. Designed to deliver a more than respectable amount of gain (48.5db@1.6kHZ for the TOD9, 52dB@1.6kHz for the TBO9), both models are equipped with true bypass switching and require the included 9V DC adapter. No release price or date available as of yet. Sound samples are available here for the TOD9 and there for the TBO9. SKB announces new softcase series SKB Corporation expands its popular Softcase line with six new models for acoustic and electric guitars as well as electric basses. StringDog.net Tone Rockets Premium Elect StringDog.net has introduced Tone Rockets electric guitar stings, the latest addition to their direct-to-customer online catalog. Reverend Roundhouse RT Reverend has introduced the Roundhouse RT guitar, the latest addition to the brand's Set-Neck Series.